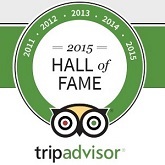 The Antigua Equestrian Centre – Springhill Riding Club has been inducted into the Tripadvisor Hall of Fame. Check out this review a happy guest wrote about Antigua Equestrian Centre – Springhill Riding Club. Post pictures of your cute dog on the Antigua Dog Show Facebook Page for the chance to win! The new year kicks off with the announcement that the Third Annual Antigua Dog Show will take place Sunday February 5 at the Springhill Riding Stables, Falmouth.